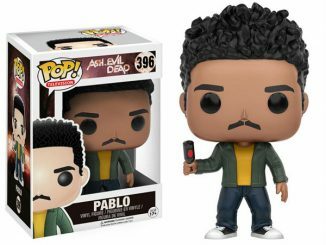 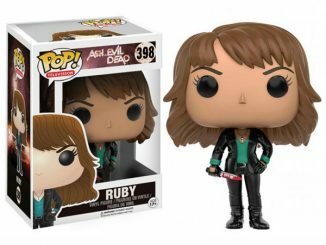 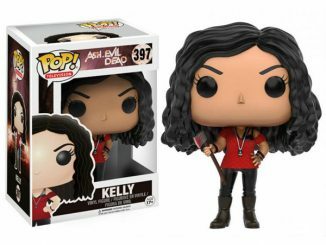 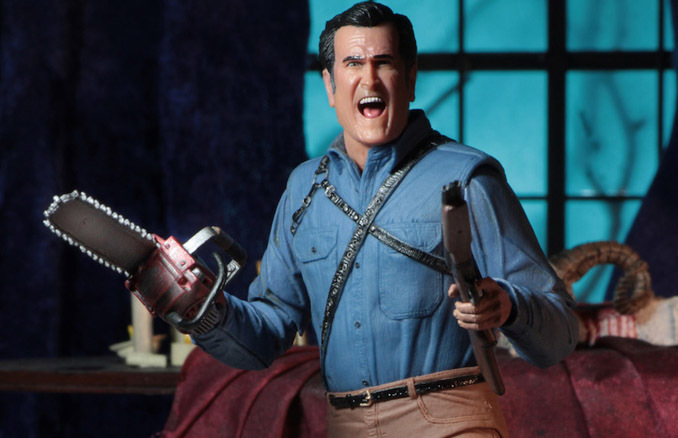 There’s only one thing to say about the groovy Ash vs Evil Dead Ultimate Ash 7-Inch Action Figure. 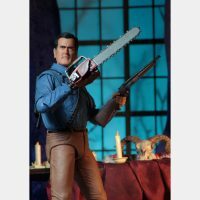 Come get some. 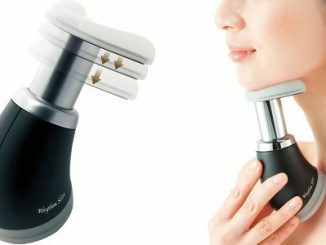 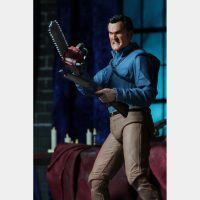 He’s not really brave, or selfless, or what you might consider the sharpest tool in the toolbox… but check out that chin! 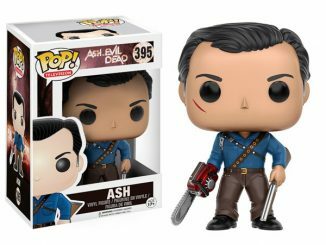 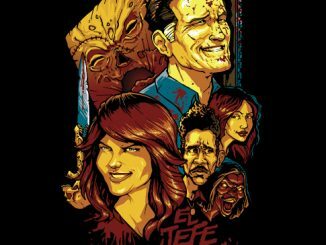 Ashley J. Williams (Ash to his friends… and enemies… and the deadites who want to kill him) was just a guy looking to get lucky with his girl. 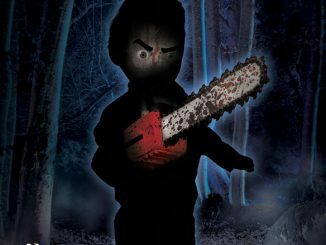 But there was a spooky cabin in the woods and a book that unleashed the forces of darkness that completely ruined that plan. 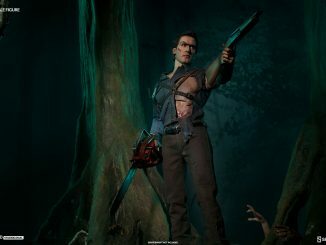 Needless to say, instead of getting lucky, Ash became a defender of all humanity, using his boomstick and chainsaw to destroy the deadite menace in as many messy ways as possible. 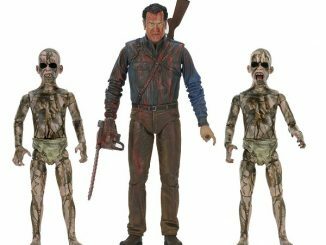 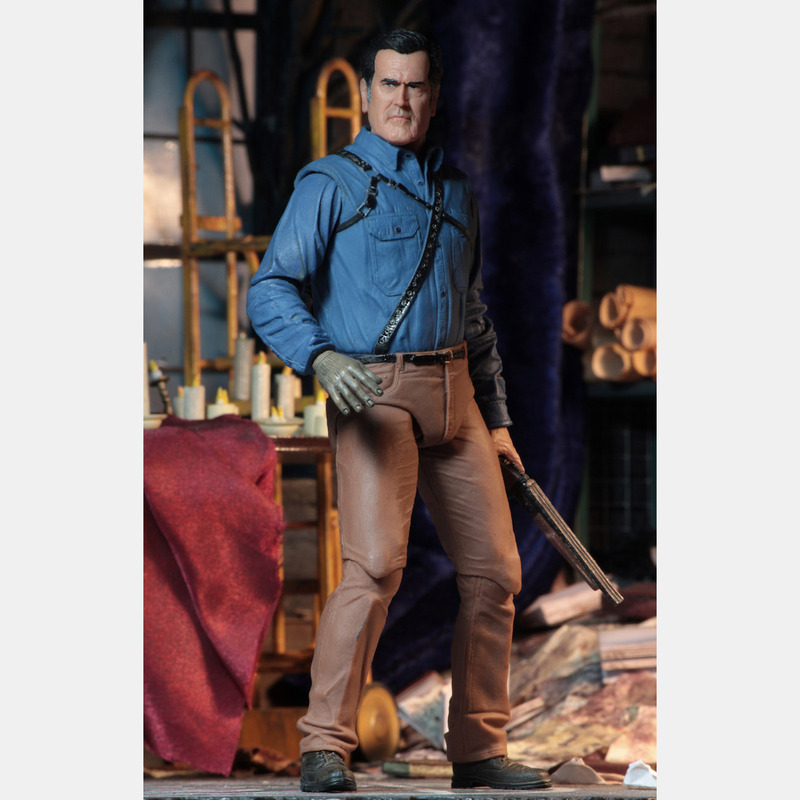 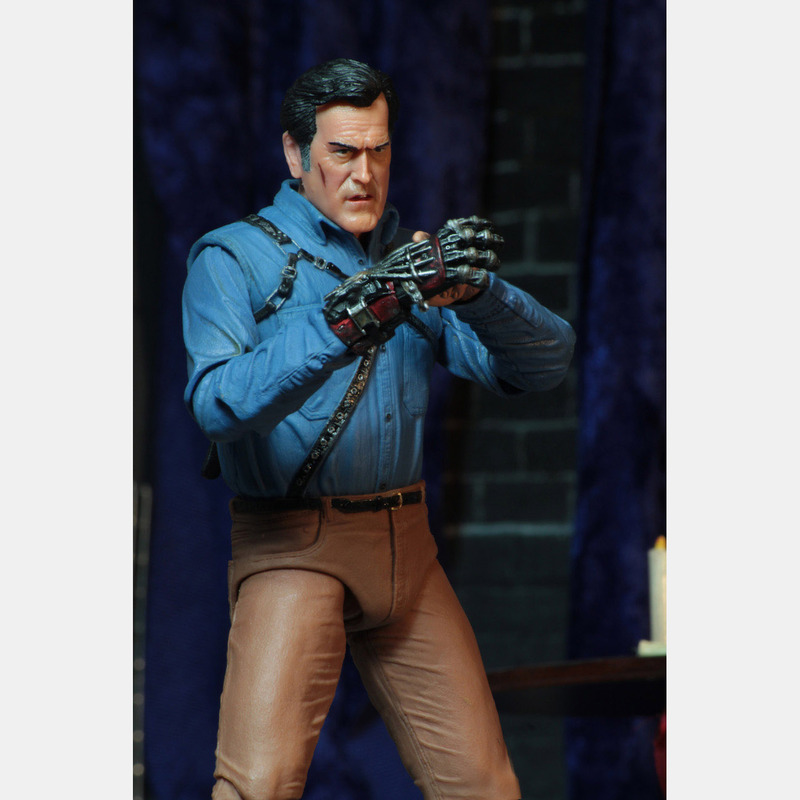 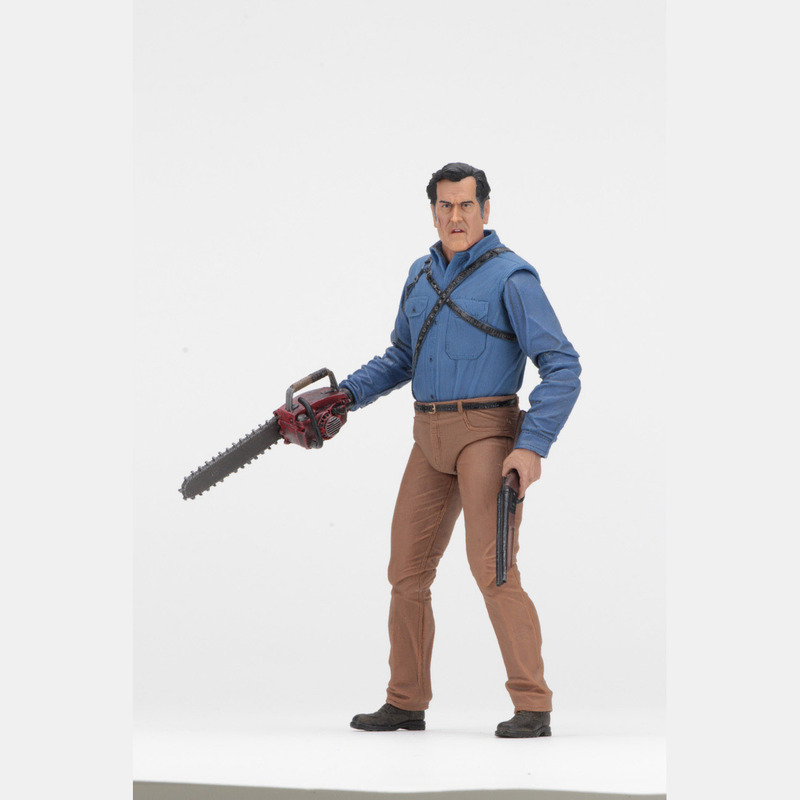 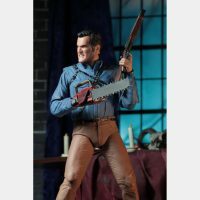 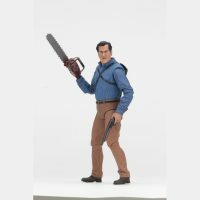 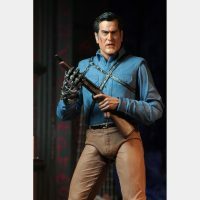 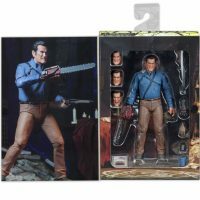 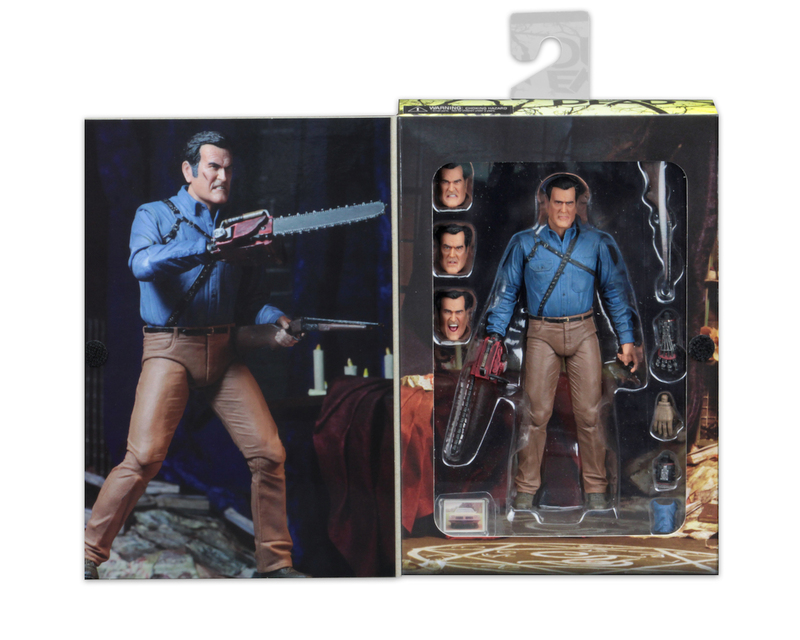 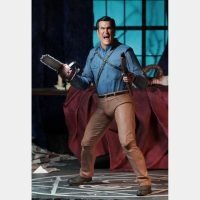 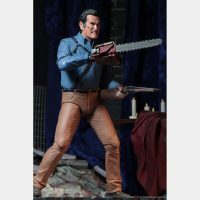 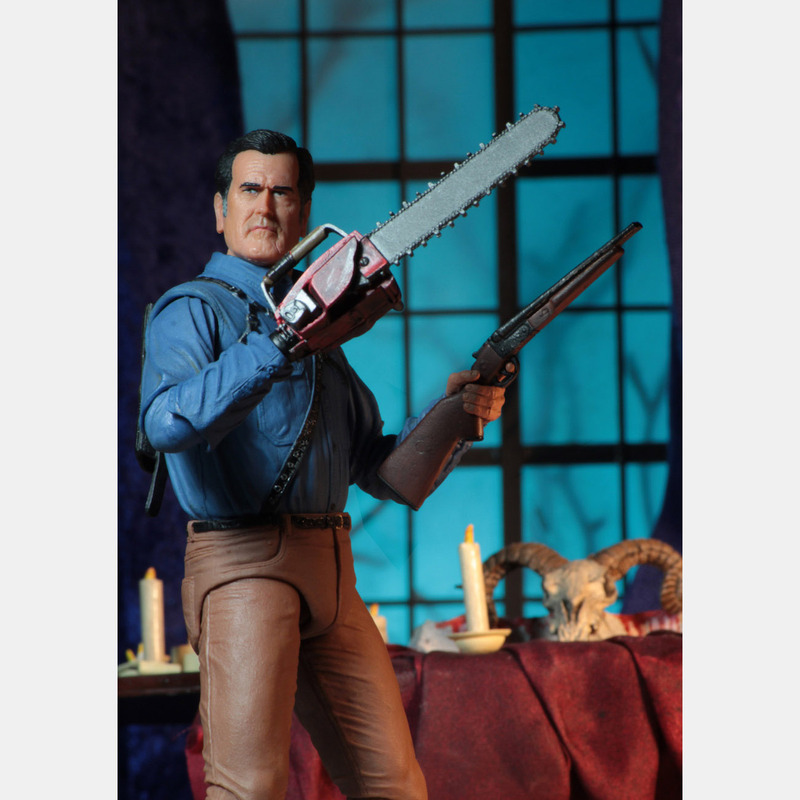 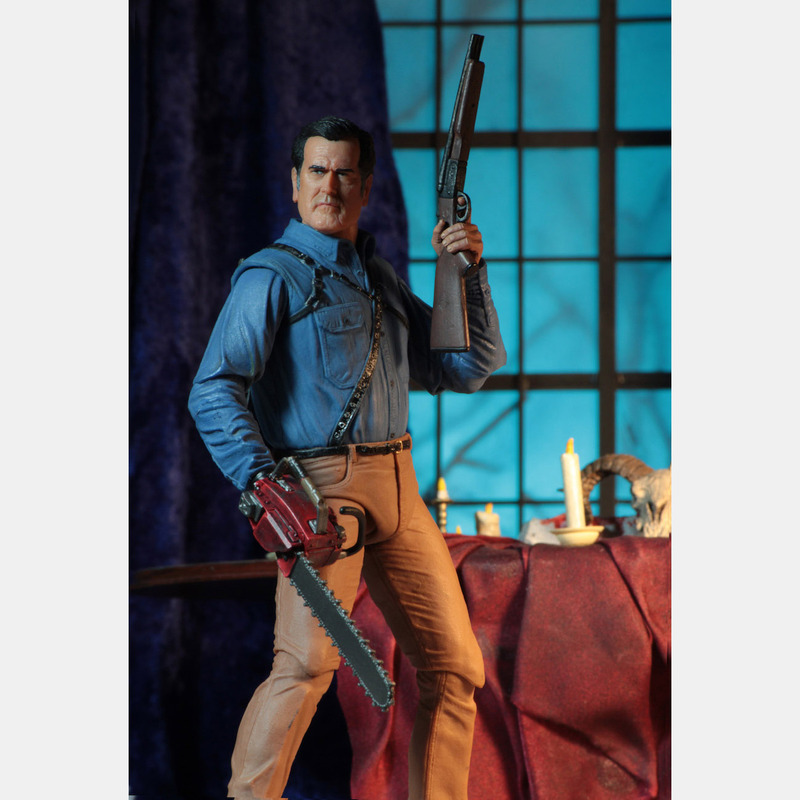 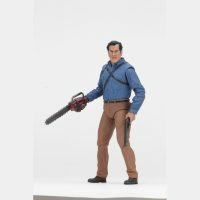 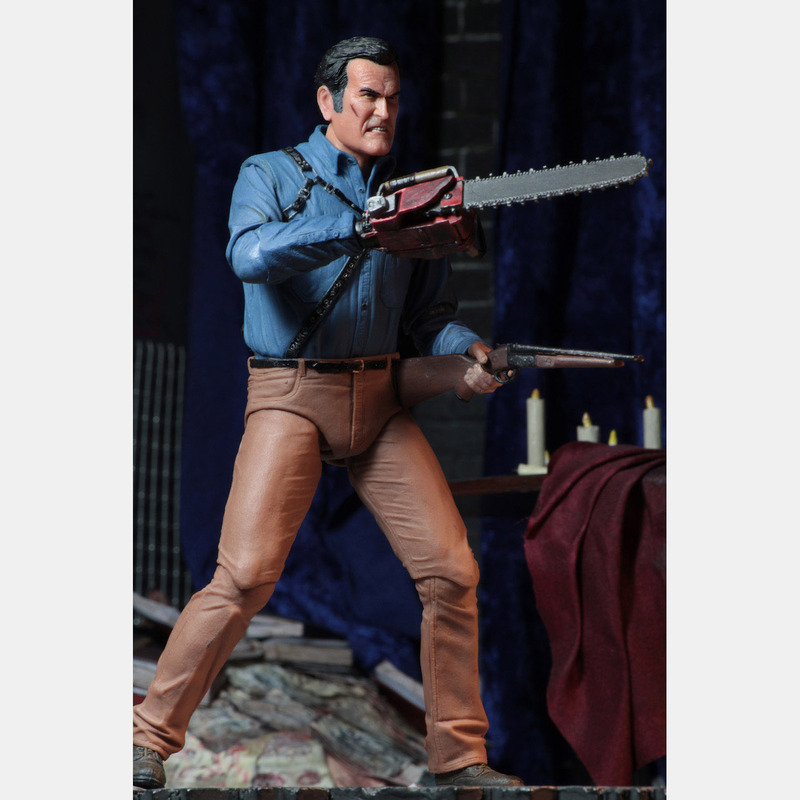 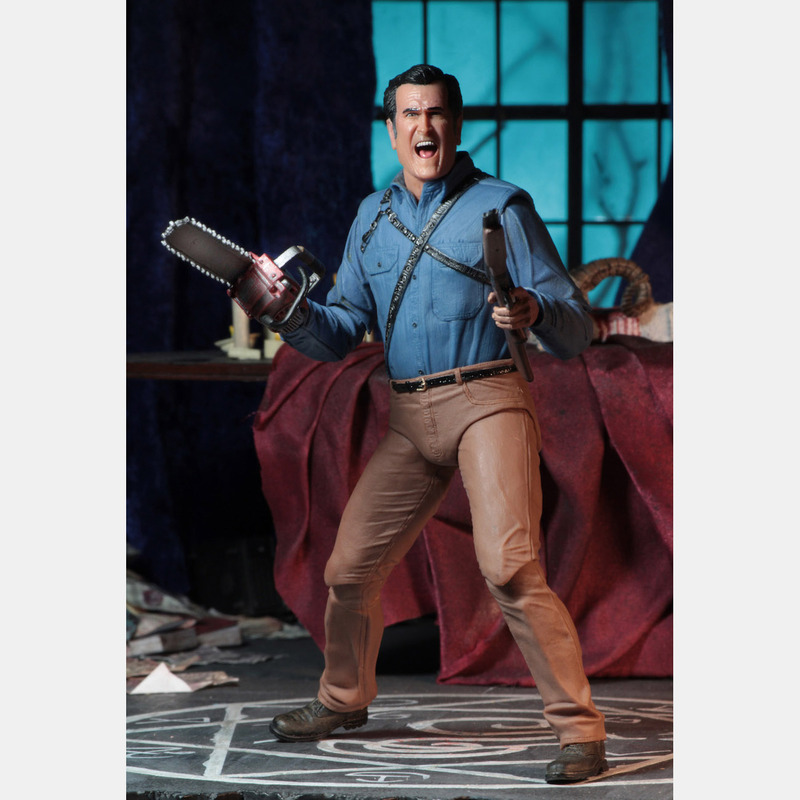 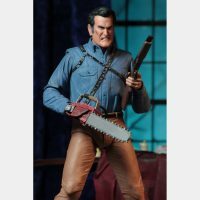 Standing 7-inches tall and based on Bruce Campbell’s chin (and other facial features), the figure comes with four interchangeable head sculpts, a chainsaw, a mechanical hand, a wood hand, a hand stump, a photo of his beloved car, and shotgun that fits in Ash’s back holster. Available for $24.99 at Entertainment Earth. 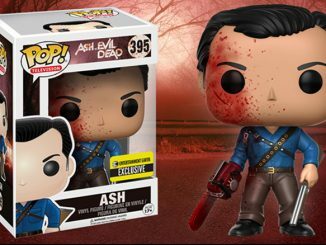 Need more Ash awesomeness? 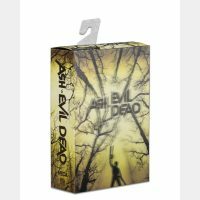 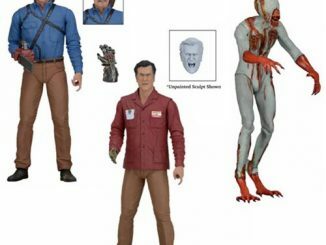 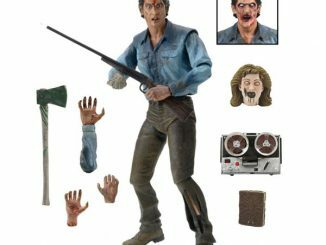 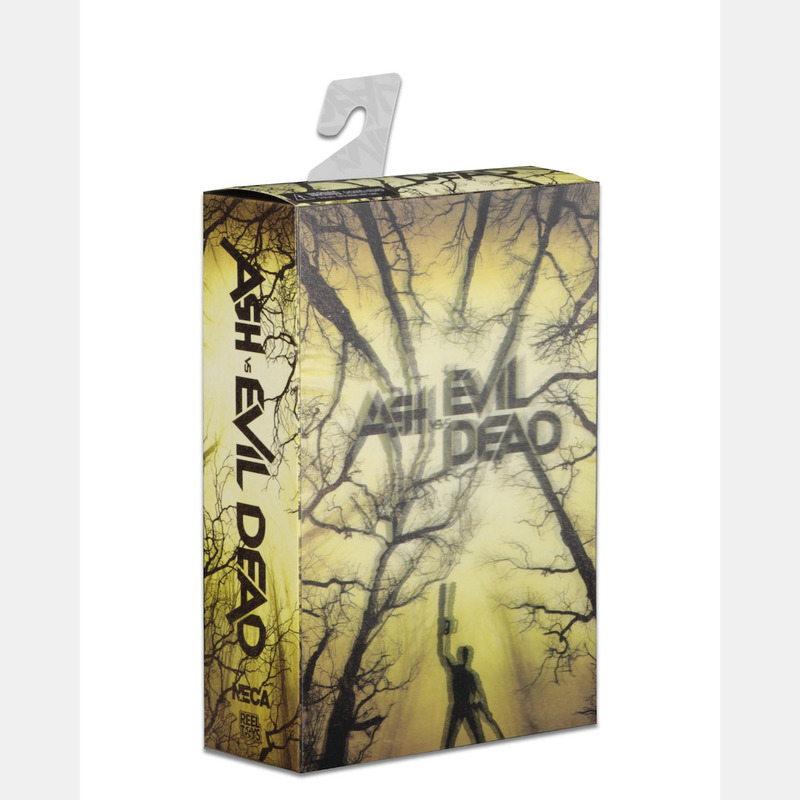 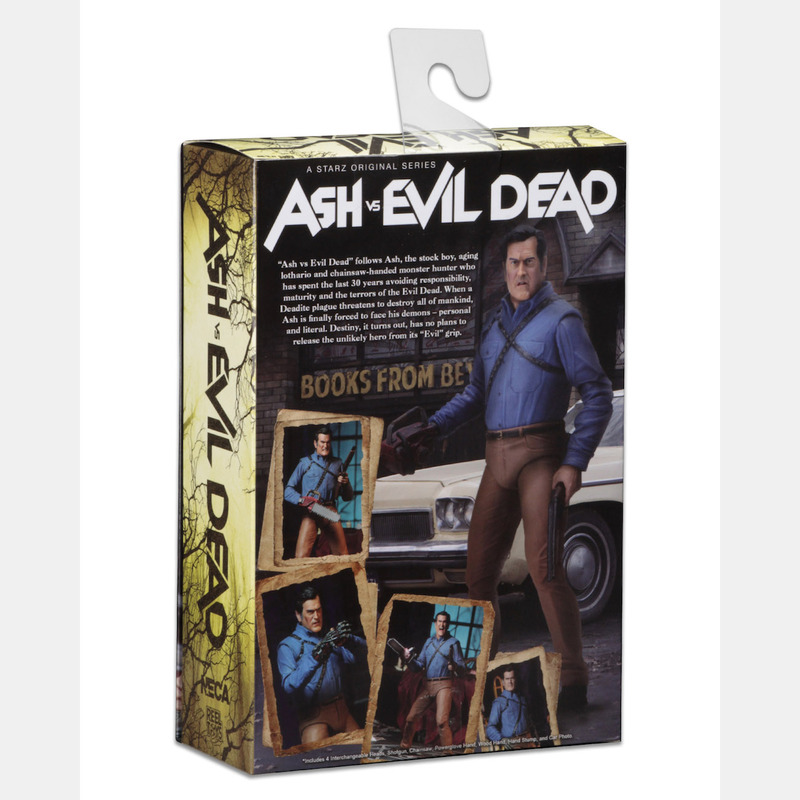 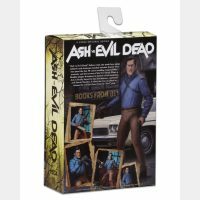 Take a look at the Evil Dead 2 Ash Ultimate 7-Inch Action Figure.